and receive advance notice of future programs. Subscribers receive monthly Appreciative Tips and advanced notification of our upcoming Training Programs. Rob Voyle has an amazing ability to frame and express Appreciative Inquiry for all of us. Christopher Szecsey, Senior Associate Social Impact, Inc. Rob and Kim's Appreciative Way series is an excellent group of tools to help you create an appreciative life. 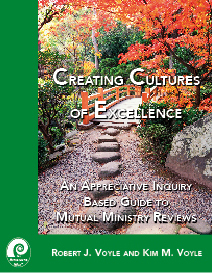 Rob and Kim combine a deep understanding of the theory of Appreciative Inquiry with their pastoral skills. All the guides are participant and facilitator friendly; lots of examples and exercises. I recommend their work as a way to define a purpose centered life, community and church. Rob's educational model brings body, mind and spirit together. 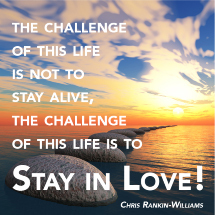 I have been challenged intellectually, transformed spiritually, touched emotionally, gathering in communally. He came into my life at just the right time. >> See our Helpful, Humorous, and Healing approach to training. and receive regular updates on new resources and training opportunities.